TOP STORY: Should the U.S. throw out its college application system? 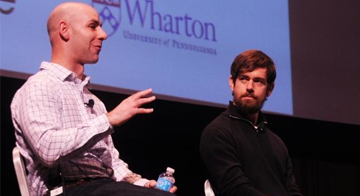 Wharton professor @AdamMGrant wrote an opinion piece in the NY Times this week, and wow...it sure got people talking. Grant thinks that college admissions in the U.S. is completely broken — and that we should throw it away and start over. And he's got an interesting idea on what we should do instead. "The most efficient structure would mirror the existing Common Application: Students go to an assessment center for a day, and their results are submitted to the full suite of colleges to which they apply. We send students to spend half a day at a testing center to take the SAT. We ought to invest equal time in sending them to assessment centers to gauge their values and their social, emotional and creative capabilities. "If colleges did this, they would gain a much better picture of their prospective students. More students would have a fair chance to demonstrate their distinctive talents and qualifications, and colleges might be less likely to reject the next Walt Disney." Provocative stuff. Read the full piece on the NY Times, and let us know your thoughts in the comments section below. Is Adam Grant right...would we be better off using these kinds of assessment centers?